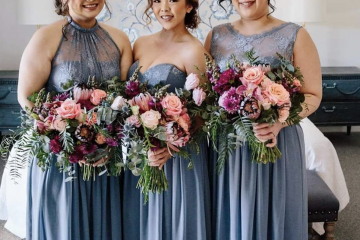 The dazzling bride Katherine and her beautiful bridesmaids wearing our Tiffany Bridesmaid Dress in soft hues of blush and silk. 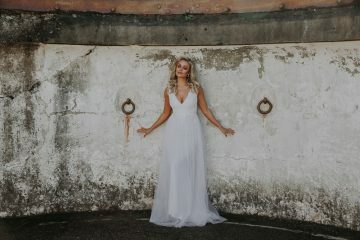 View our full range of bridesmaid dresses and please get in touch if you need any help creating a unique, perfect look for your special day. We have a vast amount of experience and would love to help. Or alternatively, if you can’t make it into the store, purchase your bridesmaid dresses online.